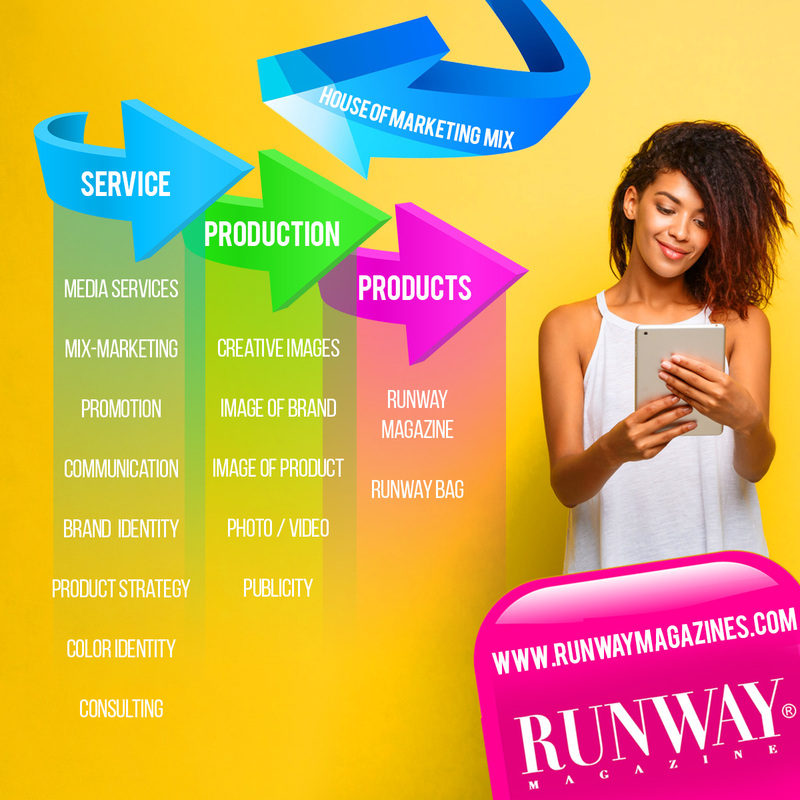 RUNWAY MAGAZINE ® is Media Group, specializes on branding, mix-marketing strategies, creation of IMAGE, image consulting, and media production. One of worldwide known commercial product is an exceptional luxury book “Runway Magazine” created to show and distribute most unique pieces, savoir-fair and expertise. 300 pages ultimate luxury printed edition about trends, the most talented designers, photographers, artists, architects, showing the most amazing embroideries, exquisite cuisine, luxurious properties and services. Runway Magazine presented and supported by Karl Lagerfeld, Jean-Paul Gaultier, Kenzo, Mila Jovovich, Claudia Cardinale and many other fashion designers and actors at different fashion and cinema events. RUNWAY MAGAZINE ® ultimate luxury editions published and distributed in USA and Europe. Digital online platform hosted on www.RUNWAYMAGAZINES.com : 1 000 000 readers a month! 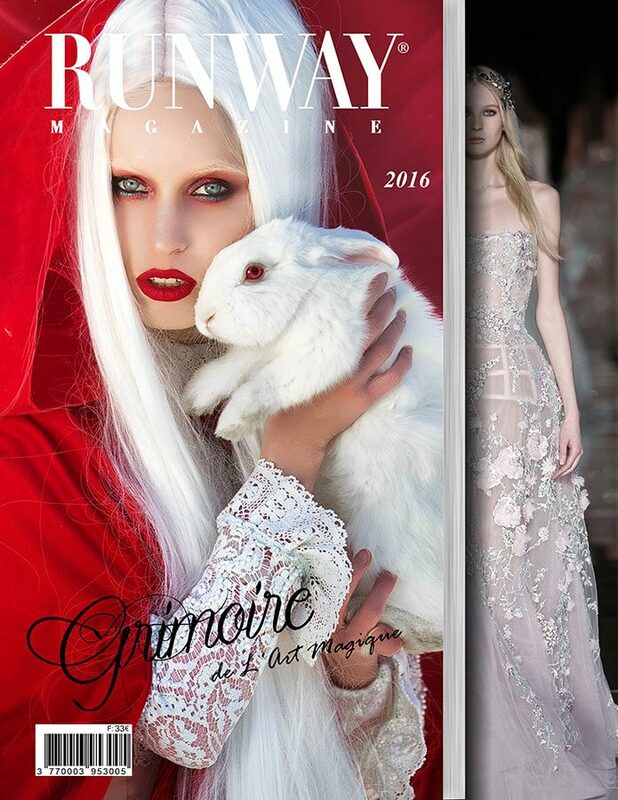 RUNWAY MAGAZINE ® featured in several movies and TV series. RUNWAY News-Paper distributed in format of Nook by Barnes & Noble, Kobo by Fnac and other online platforms, and as an Application available on Google Play and Itunes. 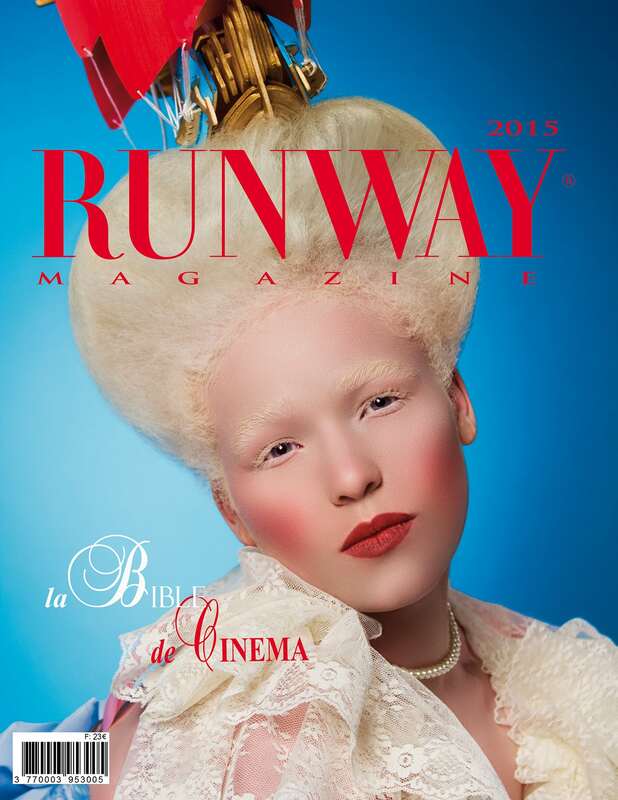 RUNWAY MAGAZINE ® started as fashion magazine in New York by ELEONORA DE GRAY in 1995. Trough many years Runway Magazine was a barometer of fashion, which influenced the market. Eleonora de Gray, CEO of RUNWAY MAGAZINE, in 2012 moved headquarters to Paris (France), and restructured the company. 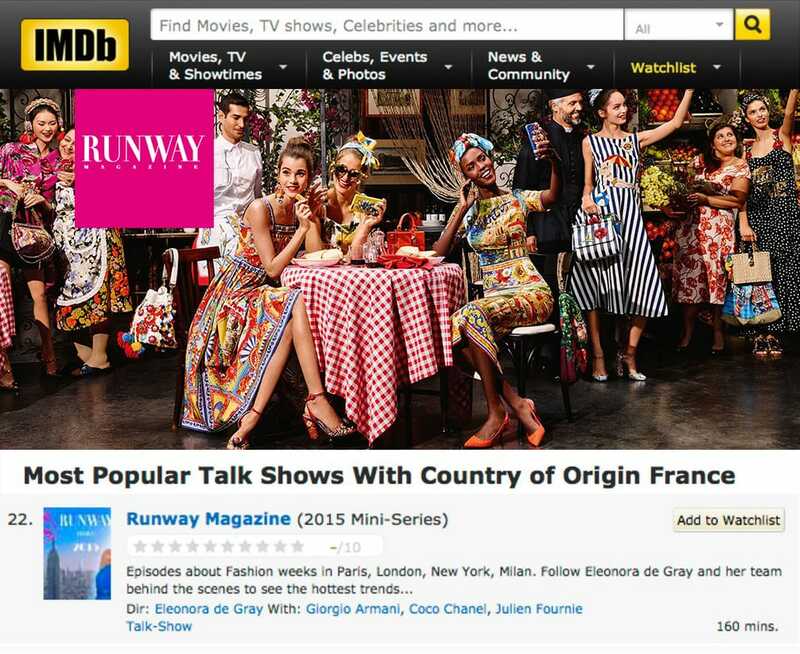 Runway Magazine became a media group, proposing mix-marketing solutions in luxury industry. We are MULTITASKERS, SERVICE PROVIDERS, CONTENT CREATORS and CONTENT DISTRIBUTORS. We have everything “in the house” : creative art work, production, and distribution in printed support and digitally. Eleonora de Gray is French-American Founder of RUNWAY MAGAZINE ®, Producer and Director of RUNWAY MAGAZINE ® talk show – video episodes about fashion weeks in Paris, New York and Milan with exclusive interviews, broadcast on 40 TV channels in USA with Dish Network. She started her career in fashion more than 20 years ago as model, became known by Nivea and many other commercials. Today in partnership with one of the top color specialist in France Guillaumette Duplaix, who’s known by her expertise and work with Chanel, Hermes and many other fashion houses, Eleonora de Gray created a company, media group with creative solutions in media, outstanding solutions “out of the box” for branding, marketing strategy, fashion expertise, promotion, online media solutions and consulting. Company launched new line of fashion accessories. RUNWAY MAGAZINE ® managing partners: Eleonora de Gray – CEO and Editor-in-Chief, Guillaumette Duplaix – Executive Director. Trademarks registered in Europe. 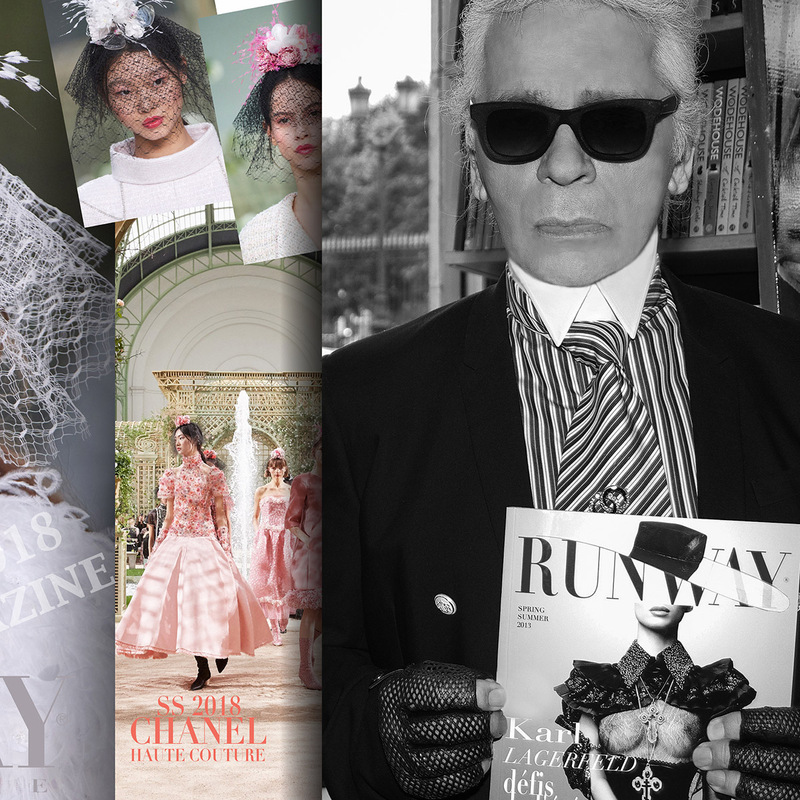 We produce RUNWAY MAGAZINE, International High fashion magazine, based in Paris, France with distribution in Europe. Magazine is free from publicity, luxury editions 300-400 pages, 20 000 copies published and distributed in Europe, 20 000 copies in USA. We are welcome all philanthropists to support creative work of designers and photographers. 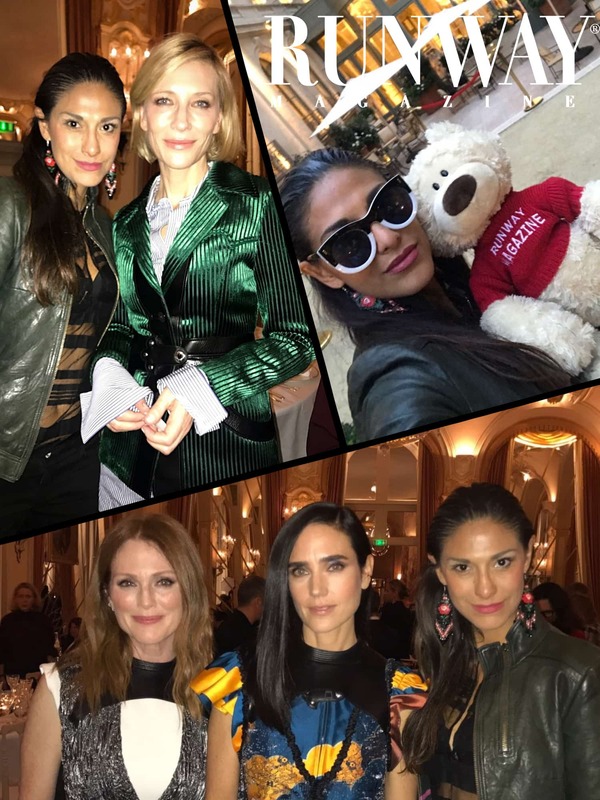 Cate Blanchett, Julianne Moore Jennifer Connelly and Abigail Lopez Cruz at Paris Fashion Week. 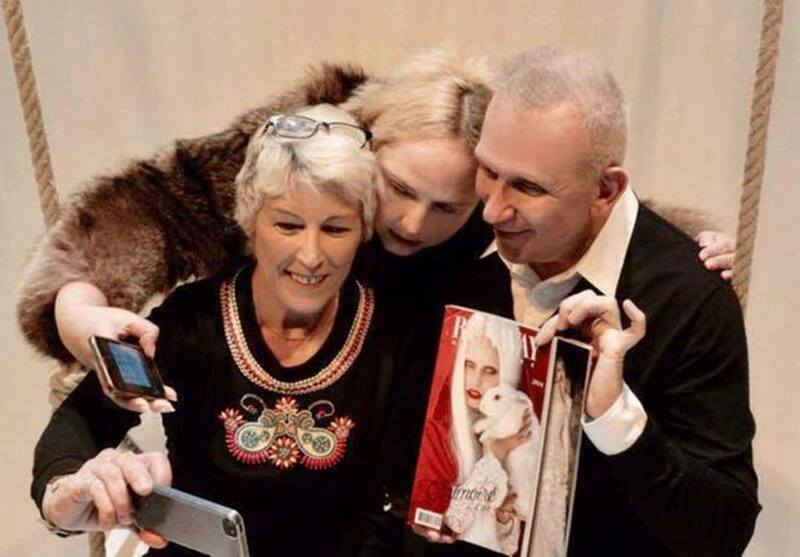 And they LOVE RUNWAY MAGAZINE!!!!!!!! On photo: Red Carpet of Sue Wong – Hollywood fashion designer with Uber Producer Quincy Jones, actress Kelly Hu ( X-men ), actor Terrence Howard, and Faith Harrington-Boutin who featured Sue Wong in RUNWAY MAGAZINE. We produce RUNWAY MAGAZINE talk show, broadcast on 40 television channels VOD with DISH NETWORK. We have seen by millions. 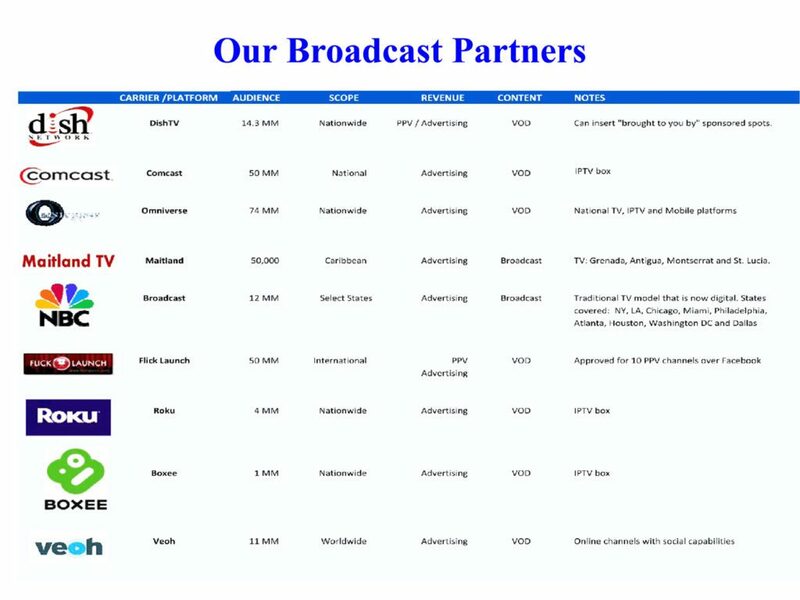 We produce 20 talk shows each year. 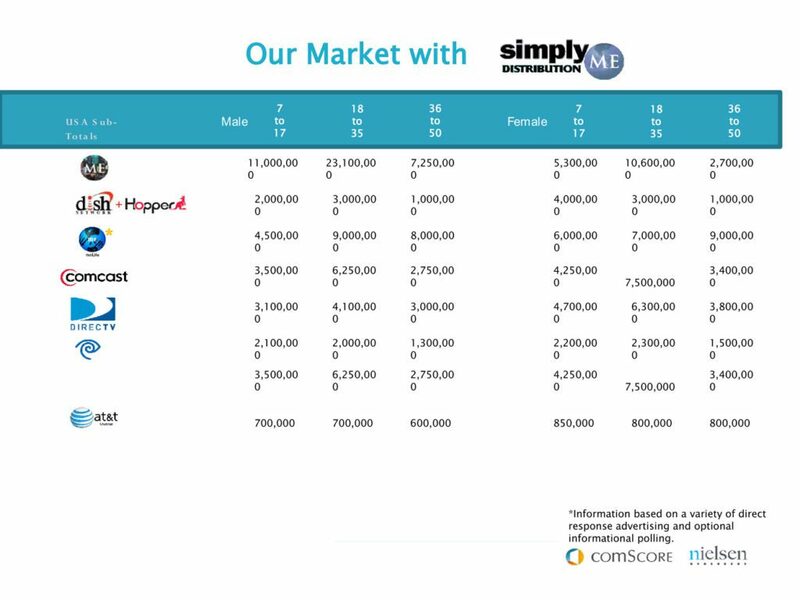 according to charts of DISH NETWORK published on IMDb. 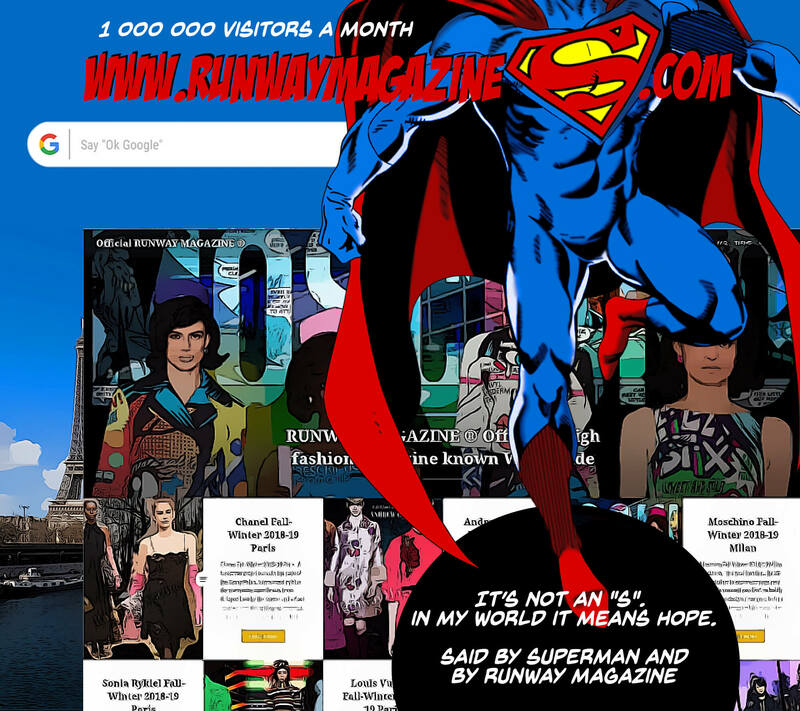 Stay up to date with RUNWAY MAGAZINE on application. Available on Google Play. Get yourself a super fashion shopping bag. New line of RUNWAY bags: capsule collections, different designs, handmade in England vinyl leather bags. Great Claudia Cardinale presents RUNWAY MAGAZINE bag at Cannes Film Festival 2017. 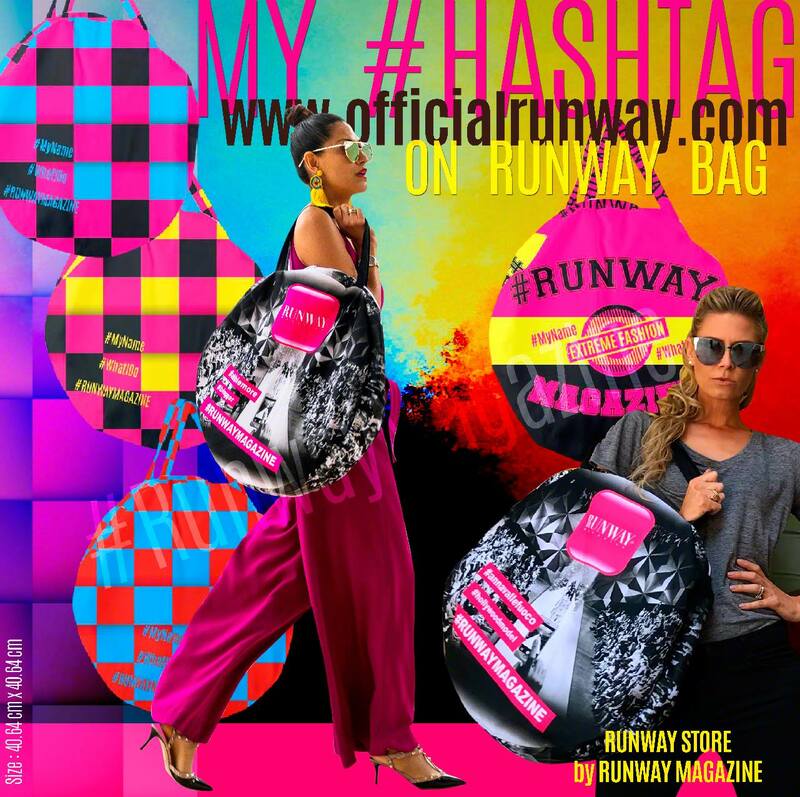 New line of RUNWAY bags: capsule collections, different designs, YOUR #HASHTAG ON RUNWAY BAG. 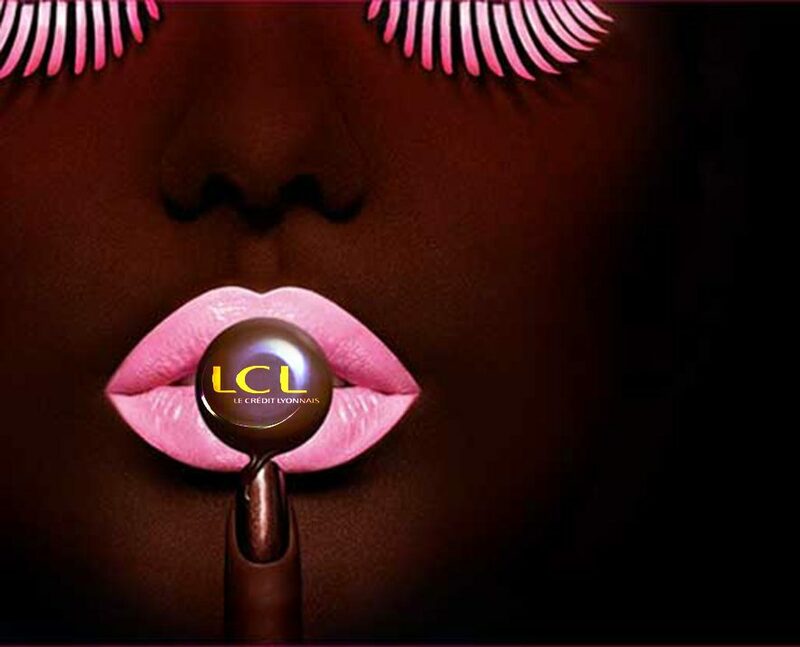 We propose Marketing Development packages which include : Marketing Consulting, Color Development, Communication Development, Image Consulting. We develop branding of your company and the products in “out of the box” concepts, bringing it to targeted market. All packages are tailored. Ask us about – We’ll surprise you.